A three-day colourful festival and musical show will start at Rabindra Sarobor in Dhanmondi, one of the capital’s popular cultural hubs, on September 27 to celebrate the World Tourism Day with the theme of “Tourism and the Digital Transformation”. 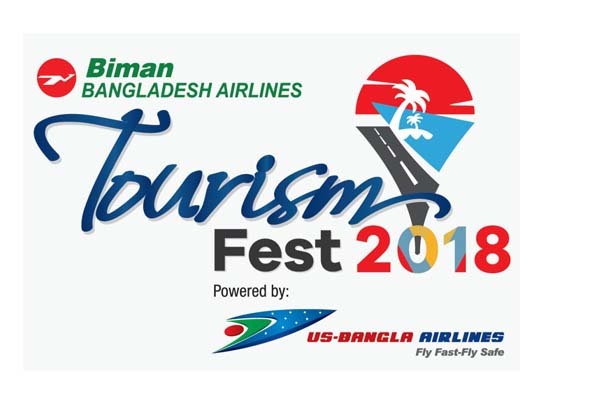 Aviation and Tourism Journalists’ Forum of Bangladesh (ATJFB), a platform of journalists covering aviation and tourism affairs in association with Bangladesh Tourism Board (BTB) will organise the festival styled “Biman Tourism Fest 2018”, a press release said on Monday. Different organisations will display various tourism related products and activities at the venue from 10 am to 7 pm every day. Civil Aviation and Tourism Minister A.K.M Shajahan Kamal will inaugurate the fest as the chief guest while Chairman of Parliamentary Standing Committee on Civil Aviation and Tourism M Faruk Khan to be present as the special guest. Social Welfare Minister Rashed Khan Menon will conclude the celebration on September 29. A discussion on tourism master plan centering Sundarbans will be held on the second day of the fest on September 28. Experts and different stakeholders of the tourism industry will take part in the discussion while Civil Aviation and Tourism Secretary Md Mohibul Haque will be present as the chief guest. At every afternoon of three-day carnival, buzzing cultural show will be staged where popular folk bands, bauls and other traditional solo singers to perform. Besides, tribal and traditional dance performance are also included in the festival itinerary. The festival is sponsored by the national flag carrier Biman Bangladesh Airlines as title and powered by US-Bangla Airlines while NOVOAIR, Rangdhanu group, Regent Airways and the Way Dhaka joined as co-sponsors. Bangladesh Parjatan Corporation (BPC), Association of Travel Agents of Bangladesh (ATAB) and Tour Operators Association of Bangladesh (TOAB) also joined hands as strategic partners of the festival. “Tourism and the Digital Transformation” is the theme of this year’s World Tourism Day (WTD), set by United Nations World Tourism Organization (UNWTO).